Building size: 84’ x 144’ x 19’. 2” x 6” pressure treated screed board. 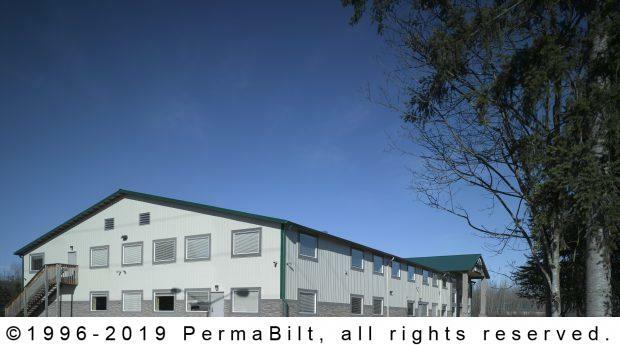 Like with most commercial steel buildings that we erect we work hand-in-hand with not only our customer but also the other vendors that are hired to complete the building. 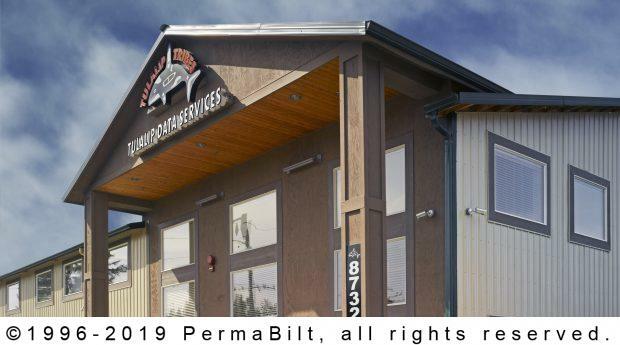 By working tirelessly with our fellow contractors, we can assure that our customer is not only satisfied with our work, but of course, with the entire building. 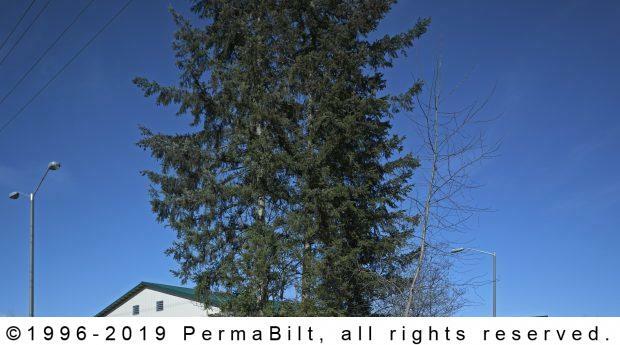 So when the Tulalip Washington Tribes wanted to build a data services building, they met with our PermaBilt® Building Representative to go over the design of the commercial steel building. One of the unique elements that was requested was window trim to enhance the appearance of their wind ows. Later upon completion, they were so happy with our work, we decided to add this feature to all our customers. 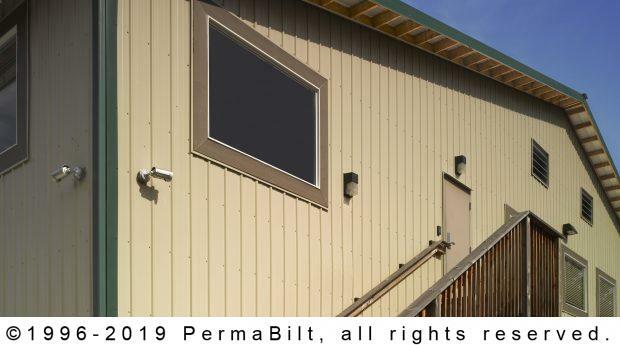 Now called the Tulalip Trim (so named in honor of our client) is a package available in Cedar, Whitewood or Azek and can be used on all siding materials except log. Sizes now come in 5/4 x 6, 8 and 10”. Additionally, another appealing design feature that they requested (and we now offer) was a Belly Band. 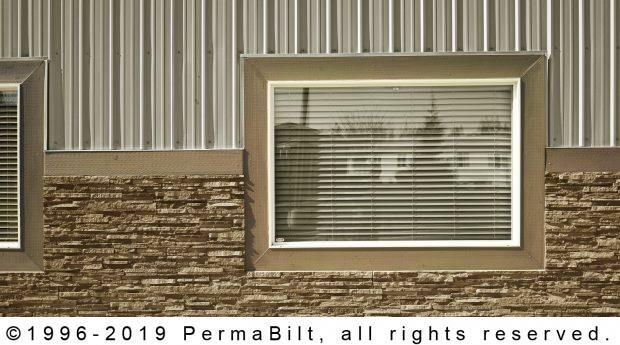 This attractive 5/4 x 6, 8 and 10” horizontal trim piece accented their building. 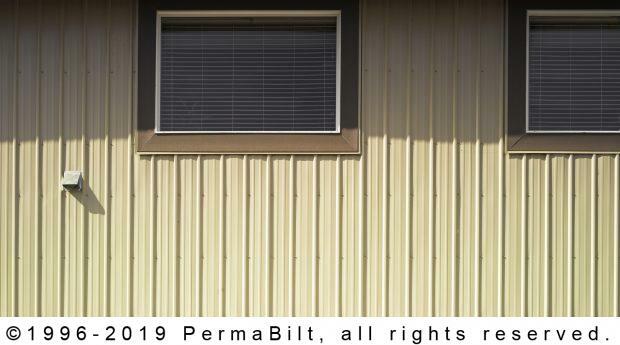 Now we offer Belly Bands in 29 gauge steel, Primed Whitewood and Cedar to pair with any siding selection. And this was not the first time (nor the last) that we have listened to the customer’s unique request and not only delivered but decided to offer this feature to all our customers. It’s our never ending quest to constantly improve and develop new ways of putting our quality into all the buildings we construct.